Ages 20-29: Average 401(k) balance: $11,600. Median 401(k) balance: $4,000. Ages 30-39: Average 401(k) balance: $43,600. Median 401(k) balance: $16,500. Ages 40-49: Average 401(k) balance: $106,200. Median 401(k) balance: $36,900. Ages 50-59: Average 401(k) balance: $179,100. Median 401(k) balance: $62,700. Ages 60-69: Average 401(k) balance: $198,600. Median 401(k) balance: $63,000. So I’ll stay positive here and just assume everyone’s Stealth Wealth game is going strong behind the scenes, haha… It’s certainly possible, right?! Now let’s whip out my net worth tracker and see how much I had back in 2009! Doing that shows a total of $143,817.65 for net worth, but specifically $118,354.05 for the 401(k). So yay! I’m a winner! In fact, it actually requires more work (mentally) *to not touch anything* than it is to grow it! Haha… Four simple words that have such a drastic impact on wealth. Can that be true??? Only 39?? I know pay discrepancy has always been a huge problem in this country/world, but damn… Never thought about *peak* salaries before. Anyone have good insight/experience here? If you’re a woman reading this blog (whether 39 or otherwise), have you felt you’ve been stuck at your peak for a while?? What about you dudes out there? I feel like you have more control over this in the online/self-employment worlds, but maybe I’m wrong? Yup, sounds about right… and then the 2nd hardest thing you’ve ever had to do with your money comes in – SPEND IT!!! :) After decades (and decades) of doing everything in your power to SAVE SAVE SAVE! Haha.. okay I threw that last one in, but it’s gotta be true ;) If you can’t learn to live your best life by 70 there’s no hope! We should all be so lucky to even be alive by then!! But there you have it, anyways…. The average 401(k) balances per decade of your life. Maybe one day you’ll become a 401(k) Millionaire like our friend, Fritz? A majority of what he did was just constantly contribute and load up on all that FREE MONEY his employer kept handing out in matches! Easiest way to double your investment on the spot! Yep, this one is a pretty easy pat on the back for Monday morning! I’m actually surprised by how low those numbers are, but we need to remember all about averages. 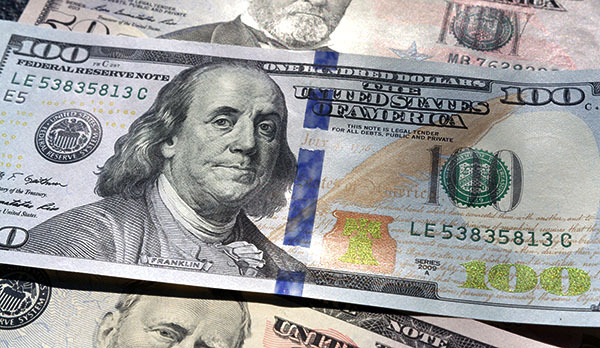 For every spendy person with $0 in their account at age 40, there’s a saver with $200k or more. If only there was actual data on just the ‘savers’… that would be far more interesting to me. However, I do appreciate the statistics. Those numbers seem awfully low for 50-59 and 60-69. I find the results shockingly low. I also find the source of the data suspect (nerdwallet nbc). I am looking forward to fresh data from the census which is more reliable/scientific. Don’t get me wrong, it is a very good blog post! Enjoyed the read this morning, I just find the data for the later age groups to be too low. But, maybe it isn’t off base… in which case people are going to be in the hurt locker! Excellent post as always (is it possible to have horrible posts these days? I think not lol)! The Stealth Wealth comment has me scrambling to line up what I am hiding. I wonder if that’s a net worth overall or a personal net worth situation? One where it doesn’t attribute to your retirement or income but just as finances are continually built, so can your own life. Your comment caught my ADHD attention for longer than it should have because it’s true! Time and again, over thousands of blogs, people say the same thing. If you live within your means, you’ll come out ahead. However, time and again, folks increase salary and start increasing surroundings, i.e., House, Cars, Spending, vice maximizing retirement and personal growth goals. I’ve been to D.C.and had the insanely high salary job, now I’m back in Charleston with a salary that I could be as content as you were with $78K for the next two decades. Why? Because I have a beautiful house, a stable career, time off when I need it. I’m learning to maximize those benefits to enjoy my life. I’m a work hobbyist at this point. Growing in my career slowly, but learning along the way and not taking every situation seriously. If I die today, they’ll replace me just like that. So I take my FUN seriously! Lastly, I think we are twins (could be when I turn 39 in 9 years) as my projected 401K and IRA’s will be estimated at $519,524.00 churning at 6% each year. Glad to see it’s comparable to someone I respect. Keep up the good work brother! Hey dude – thanks for stopping by! Love that “work hobbyist” mentality! Haha… gonna have to steal that one ;) And you’re 100% right on how people tend to increase their costs as they increase their incomes… Surest way right there to get trapped in the rat race, bleh. I was actually very surprised to see how LOW these numbers are… Specifically for the 40+ folks. I personally was right in line with the balance for the 20 somethings. Luckily, I realized what needed to be done and started going bananas with our retirement savings! I’m average for my age (that doesn’t sound so good…lol!) That’s just in my 401(k) and I do have stealth wealth in other accounts. If my cards play out right, I can double the average by the time I retire which sounds mighty nice. The medians are far scarier than the averages although both are pretty low considering 401ks are by far the easiest investment vehicle to take advantage of. My wife starts a new job in a few weeks and is automatically enrolled for a 401k and they contribute 5% unless the employee goes in and changes it. I hope that becomes the norm and we see all employers pulling tricks like that! I saw those medians and found them quite shocking as well. They are significantly below the averages which tells you there are some high value portfolios in there that skew the averages up quite a bit. yup – that’s a major problem w/ the stats for sure..
I’m in the same boat as Brian – federal contractor over 20 years with 5 different companies. Each company switch, I moved my 401k to my Trad IRA. So right now my 401k is meh, but add it in with my IRA and it’s not bad. Add in my Roth and it’s even better. I’m of two minds with the wage peak. I’ve been in the same job and my pay has been the same for the past 4 years, but I chalk that up to the current nature of contract work (money has dried up in the past 10 years). I’ll be 44 tomorrow (today’s my birthday eve!) and I don’t think I’ve peaked, but wages everywhere have been pretty stagnant for a while. I have a choice to stick around vs. job hunt, of course. I’m curious what the new contract will bring in a year. I’ve been struggling with sticking around to see or jumping ship sooner…. Yeah, I’ve built up about $15K worth at today’s rates. Before you take away my membership card, I haven’t put in anything I’m not prepared to lose, and I have maxed my legit retirement accounts. I would buy more if I could because even though I think we are in for a prolonged period of low pricing, I do think within the next few years we will experience a slightly lesser version of mania like we did in 2017… I’m just trying to position myself so that with a low investment I could potentially gain enough to pay off my house if that happens. Is it gambling, probably, but the odds are better than playing the lottery. Totally! Plus you learn a lot and it’s just FUN to get a bit risky :) Especially if all the areas of your financial life are on lock. I wonder if they look at 401k and IRA together? People change job so often these days. It doesn’t make sense to just look at the 401k. Anyway, I assume it’s both 401k and IRA. The balance looks low, but that’s just the way it is. People will find a way to survive on social security and part-time work. I agree here. My 401k balance has only ever reflected what I put at my CURRENT EMPLOYER. When I left my 2 previous employers, I promptly rolled my 401k balance into a ROTH IRA account. So, these numbers don’t mean much without accounting for IRAs or other places people have rolled previous 401k’s. I just turned 30 and my balance hit $180,000 thanks to the bounce in the market. I still feel like I’m behind though. If you add in my Roth IRA, I’m at about $220,000. When I talk to others about their contributions, it’s somewhat shocking to hear that they aren’t taking advantage of the match. Fritz is a 401(k) millionaire? Gees, I can’t get away from that guy. Literally. Like, he’s around me 24 hours/day. Haha… Fritz has jokes too! Just want to chime in on the stat of women hitting a salary peak at 39. I’m 36, have had a good salary increase over the course of my career (more than doubled it my 14-year career) but feel I could easily hit a peak of some sort at 39 – or at least the end of any dramatic raises. –My big salary jumps have come from moving companies. Now that I work at a company I love with no plans to move, the only big salary jump can come from internal promotions. –I’ve been promoted as far as I care to go. The next leap is to directing my department and even though I feel pressure to make this move in the next 2 years, I don’t want the extra hours, travel, and stress that come with it. –I don’t want the extra hours, travel, and stress because I have 3 young kids who will only get busier, a husband with a demanding career time-wise, and I basically am CFO, co-CEO, and the “default” parent in my house, even though my husband tries to carry as much as he can. I don’t want the 14 years I have kids left at home to be my most demanding career years. So, I’ll probably stay in my current position, not experience any dramatic increases in salary besides cost-of-living, and not retire any earlier than 60. But I don’t want to be out chasing the $ for the next 14 years just to be able to retire as soon as my kids are out of the house-I’d rather have reasonable time with them now. Kids > money/career always!! And that’s not easy to do either!! I feel stuck especially with a couple of market hits the past couple of years, but I am fairly certain I’m way ahead of most of my friends, even though we are all intelligent people and know the value of saving for retirement. So if that’s the case, what about all the folks that are not in my general peer group? I agree with the first commenter – very likely your readership is way ahead of these figures. Unfortunately, as a contract worker my 401(k) balance is $0. I’ve never had an employer that offered it, except for a job I only kept for three months, and I was so broke after that that I had to cash in the $300 I’d contributed. D’oh! Nothing I can do now except contribute like crazy to the SEP-IRA that I (finally) set up and hope it ends up being enough. Hey – you’ve also experienced a ton of things others haven’t in life and are still around to talk about it! :) So don’t get too down on yourself – I know for a fact you’re doing the best you can and are a hustler. Good job getting that IRA going!! – Average isn’t necessarily the benchmark I want to compare myself to. For example, I’m doing pretty well if I compare myself to the average American BMI too, but that doesn’t make me healthy just because so many others are struggling with obesity. – Using the balance of one account seems crazy to me, what about a person’s total portfolio of retirement vehicles? Because of our trickier tax situation, my husband and I have 2 Roth IRAs, 2 Traditional IRAs, 3 Beneficiary IRAs and one government retirement account. Looking at any one account balance would not be reflective of our situation at all. – As a SAHM, my direct financial contribution to our family is $0 during this season. But all of our financial life is 100% a family deal, not his and hers. 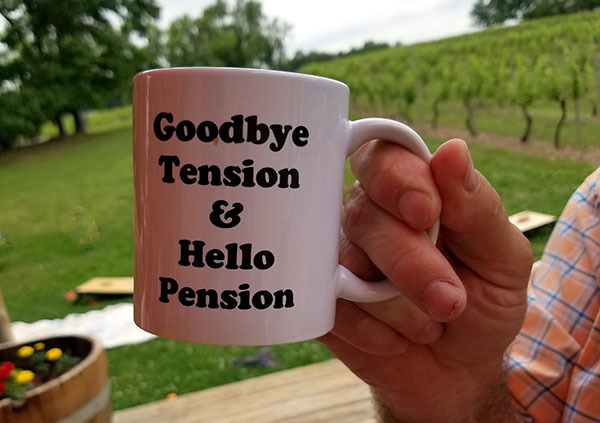 It’s weird to me the majority of our lives will hopefully be handled as such, but retirement conversations are predominately discusses in terms of individuals. Am I the only that doesn’t find that helpful? But I agree it would make more sense for sure :) If you ever thought about starting your own blog that would be an excellent topic to focus on! And might get others to do more too! I wonder if 39 is when public school teaching contracts step out. I have seen these types of numbers before, and I wonder how valid they are. If most people job hop, the 401(k) total would only be for your current job – unless you roll that money over from previous jobs. So, the total in one account is often going to be less than your total retirement savings. I am so amazed by the fact that there are 401(k) millionaires. Those are people who either roll over their money into a new 401(k) or that stay at the same job their whole careers. Who does either of those things? That is pretty much where I am at $120k in my early 40s. However, after the QDROs from my divorce are done, I’ll be liquidating all of it that remains and be back to zero. I think I can get back from zero to $150k by age 50 tho. However, those averages are no where near a good place to be, unless there is a lot of other investment and assets stored elsewhere. I know you’re looking for content but 401k balance doesn’t mean a lot on its own and it is noisy. Doesn’t mean a lot on its own: You need figures on IRAs, taxable savings, real estate and even debt to get a full picture of progress toward financial independence or lack thereof. I would like to see articles on this full picture if at all possible. Noisy: People change jobs 10 times during a career. Sometimes, maybe often, 401k are rolled into an IRA account upon departure. Not a perfect answer but Fidelity released their 2018 Final report. IRA + 401(k) balance average was $281K. Link below. But as you’re saying it doesn’t include taxable savings, real estate/mortgages, or debt. In terms of hitting a pay ceiling as a woman (I’m 45), I feel a lot depends if you have kids or not. I’m single, so no one else to look after. I travel a ton for work and work long hours. I run an office and am the most senior employee in my company (aside from owners). I see no ceiling right now for my pay, just my own ambition. As I get older (50+) I’m sure both men and women hit ceilings, although women always 2x as hard as men. These balances are flawed because people change jobs often. The right balance to look at is the rollover IRA plus the current 401(k). The financial services companies release numbers about 401(k) balances because the employer/sponsor wants to know. But the financial services companies don’t release stats on the personal accounts like rollover IRAs. Its really not about what the other investor has socked away, but really it’s how much do each of us need to live modestly/comfortably in retirement. A good number I’m working with is 70% of my current income for starters and then factoring in age, SS income, and reduced expenses like mortgage or car loans, or even paying kids college. Then adding back supplemental healthcare/dental/eyeglasses/prescriptions and other unknown factors yet to be accounted for. Taking all that into account @ 56 I should have 7 figures put a way, right? Not even close……so part-time jobs are in my retirement unless I hit lotto. Just saying! I can’t speak for other areas, but around here, it is very common to be at your top salary in teaching after 15 or 20 years. I have taught 25 years, and I have been at the top of my scale with the maximum compensation for education for 10 years. I actually lose against inflation every year because a good pay increase is 4% over three years. Over 75% of teachers nationwide are female. Very interesting insight!! I don’t know what the overall % is of teachers vs total professions covered in these stats, but it would certainly help explain it in your field for sure! Totals in an IRA/401K are meaningless without the rest of the picture. What age will you retire (how many years will you live in retirement)? Will you be debt free when you tretire? How many dependents will you have when you retire. When will you begin drawing SS. How much will you draw? A single debt free worker who waits until 70 to retire and draw SS living in his pickup truck will not have the same disposable income of a married (with dependent children) indebted worker who retires at 62 and begins drawing SS living in the Villages. Growing your 401k from 118k to 503k in 9 years will be pretty hard to repeat. Average balances matter if you live a average life financially(buy buy buy) which is why the balances are so low. If you live below your means during your working career chances are you will need much less in retirement. We are a couple in early 50’s and have combined savings of 800k. Only debt is a 15 year mortgage that we are paying down substantially creating equity that will plan to sell to buy a RV in approx 5 years. Best advice for young people is to live in a Tax friendly state and think longterm. Interestingly at 39 I was below my peak — a couple of years before I dropped in salary 40% from my previous job becuase I had been unemployed for a year and my savings (and 401k OUCH!) were empty. Bankruptcy had been filed just three years before because I was unable to sell my house in my old state and due to certain circumstances was unable to rent it either — so, 60% of salary and two homes to pay mortgage and rent on AFTER 12+ months of unemployment. I had received a coupe of pay hikes but was still below my previous peak. While my net worth does not match yours, my current salary is now higher than my previous peak, my net worth is mostly on track for a possible retirement before 65 and my bankruptcy is a blip in the far past with a credit score of which I am proud. Yeah I may be bragging, but that low – with all moneys gone and a bankruptcy looming (oh and student debts that did not disappear with the bankruptcy) I thought I would never dig my way out. It can be done; it just takes time. small goals that pile on each other. If this person messed up that badly and could pull out of it, slowly, painfully, I believe others can too. I feel great on a personal level with these numbers. At 38 I am blessed with 6 figure + salary on pace to be a 401K “Everyday Millionaire” (Chris Hogan) in my mid forties by following the 70/10/10/10 Rohn principle. I am very blessed and possessions isn’t be the best of it either. Next post: A Saver Checklist + Tips!